The Beetlestone* Award Committee, in partnership with BIG, is delighted to announce that the first winner of this prestigious Award which recognises “leadership and legacy in the field of informal science learning”, is Stephen Pizzey of Science Projects Ltd and the Observatory Science Centre, Herstmonceux. Steve was one of the very first people in the UK to be involved in hands-on science exhibitions. His travelling Discovery Dome in the mid-1980s was a prototype for many similar ventures which have followed. After a career in industry Steve joined the Science Museum and in due course became the Deputy Director involved in setting up what is now known as the Media Museum in Bradford. 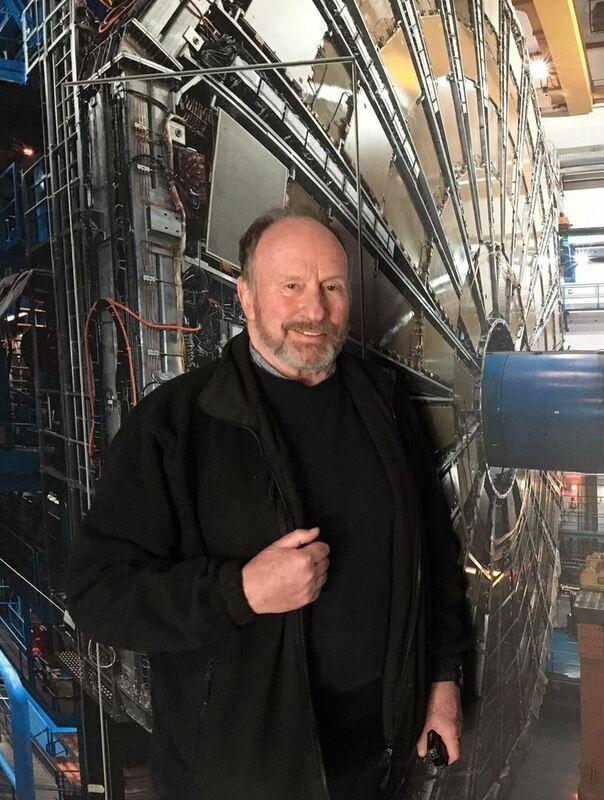 He established his own company with charitable status, Science Projects Ltd, in 1987 and the exhibits designed and built there are now to be found in science centres and museums around the world. Science Projects is also responsible for the science centre at the Herstmonceux, which for many years was the host to the BIG Event. Steve was also the holder of a NESTA Fellowship to study ‘Science in the Landscape’ – a continuing passion. The Award carries a personal cash prize of £500, an additional bursary to facilitate dissemination of the holder’s vision and legacy (which is an obligation on the awardee) and free registration for the next BIG conference. *John Beetlestone (1932-2017) was the founding director of Techniquest, the UK’s first purpose-built science discovery centre. This Award has been made possible through the generosity of his family and friends. Bursaries for BIG Event - Closing Soon! Again this year, BIG is offering a few bursary places to attend the BIG Event in July. This is ideal for people working in and around science communication, who think they might benefit from making some more professional friends by attending BIG’s three-day conference in Winchester. If you fit this bill, then we’d love you to apply for a bursary to come along. The BIG Event is a three-day conference bringing together 150+ STEM engagement professionals from across the UK and beyond to help you build your skills, grow your contacts and explore what’s working for others in your field of work. You can read all the detail about the conference and the bursary application process here. Don’t forget – you must be a BIG member to apply so leave time to join if you aren’t a member already. The deadline for submitting applications for The Josh Award 2018 is less than a month away - Friday 20 April 2018, 5pm. Please download the application form and guidance notes here. We appreciate how squeezed your budget is. At BIG we really value making every penny count and squeezing in as much value for money as possible for our members and the BIG Event is no different. The cost of attending the whole event is cheaper than ever before. There will be a free shuttle bus from Winchester city centre to the Winchester Science Centre each day. This will enable people to book city centre accommodation which will be cheaper than the onsite hotel (Holiday Inn). The shuttle is paid for by BIG and will be free to BIG delegates. Book before 19 April! This will save you up to £50 if you attend the whole Event. Find a session you can contribute to and become a speaker. Speakers get one day free (which includes BIG membership for another year). Book your travel and accommodation early. The event is coinciding with the Farnborough Air Show, so many people will be looking for places to stay which can drive prices up. Please download our application form and guidance notes here. The deadline for submitting your application is Friday 20 April 2018, 5pm.